Every year, my mother's side of the family goes on our family vacation down to Lake Powell. Sometimes it's a little hectic when the high winds, sunburns, and broken legs come (sorry mom), but we love it anyway. 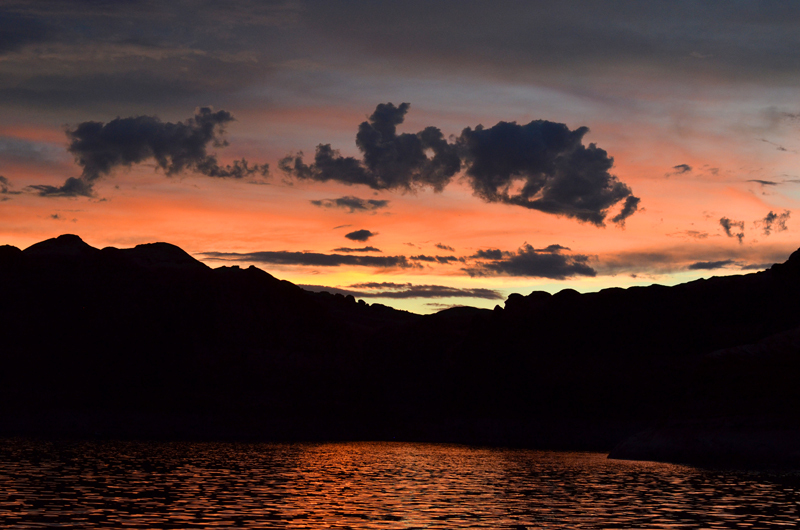 I wouldn't trade my memories of Lake Powell for anything. 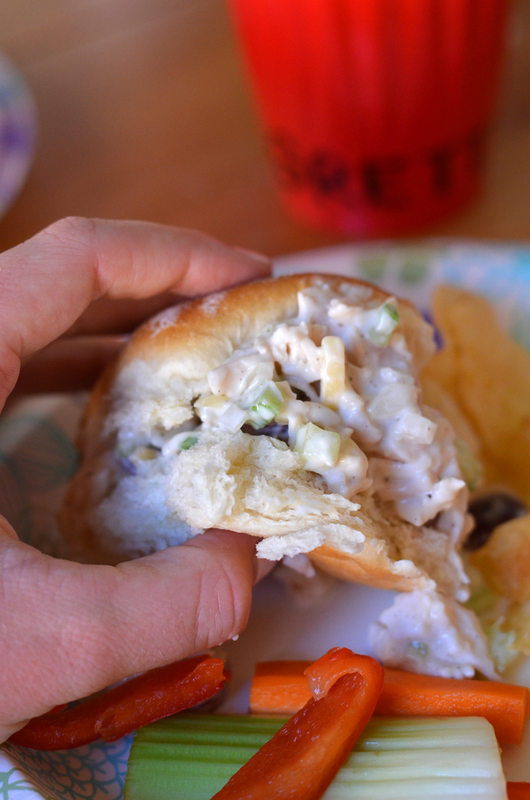 One thing I know I will always remember is Aunt Cheri's Chicken Salad. This stuff is amazing! See how I bolded, italicized, and underlined that? Yeah, it's that good! 1) Dance Parties, because... duh. 2) Water skiing, because we have to prove we can still do it (right, mom?). 3) Annie's Canyon, because... I'm not actually sure why we are all expected to do this slot canyon every year, you just HAVE to. 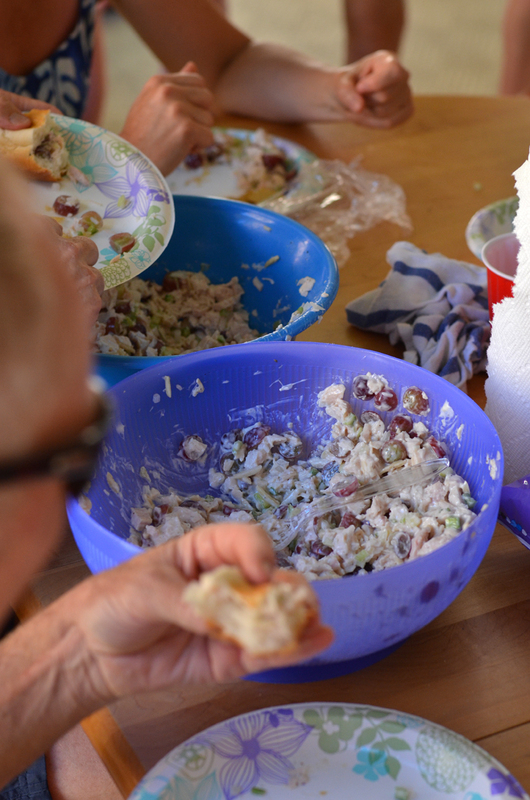 4) And Aunt Cheri's Chicken Salad, because it's amazing and it's not Lake Powell without it. 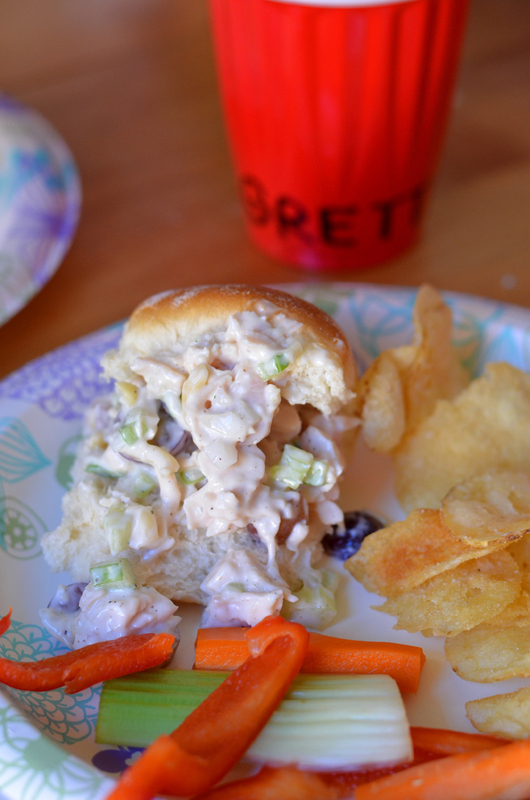 After swimming, tubing, or hiking; this chicken salad tastes like heaven. We thought about switching it up one year and not having this as one of the meals, but people (me included) freaked out and protested. 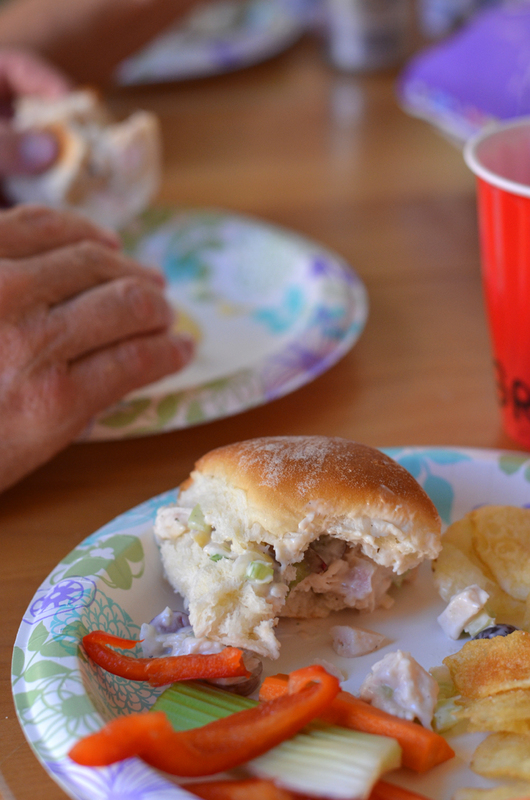 Lake Powell is not the same without this meal! 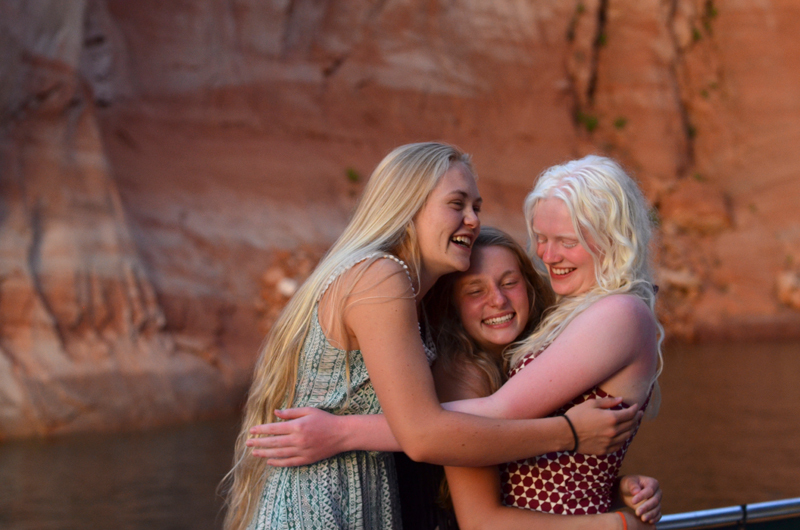 Someday we will not be able to go to Lake Powell as a family, lets face it we're already getting too big. 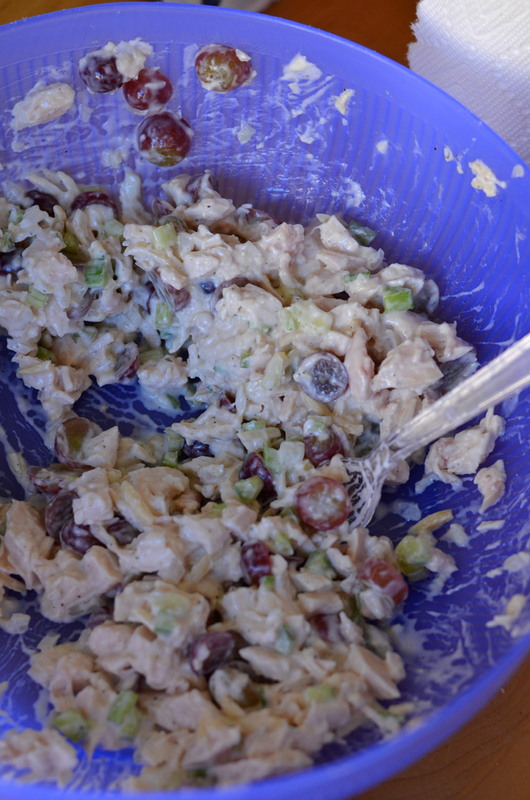 So, even if you're thousands of miles away, and aren't going to Lake Powell, you can always have a little bit of it with you when you eat this wonderful chicken salad. In a large bowl, combine all ingredients for salad. In a small mixing bowl, combine all ingredients for dressing. Drizzle prepared dressing over salad and mix until incorporated. If too dry add milk until desired consistency is reached. Salt and pepper to taste. 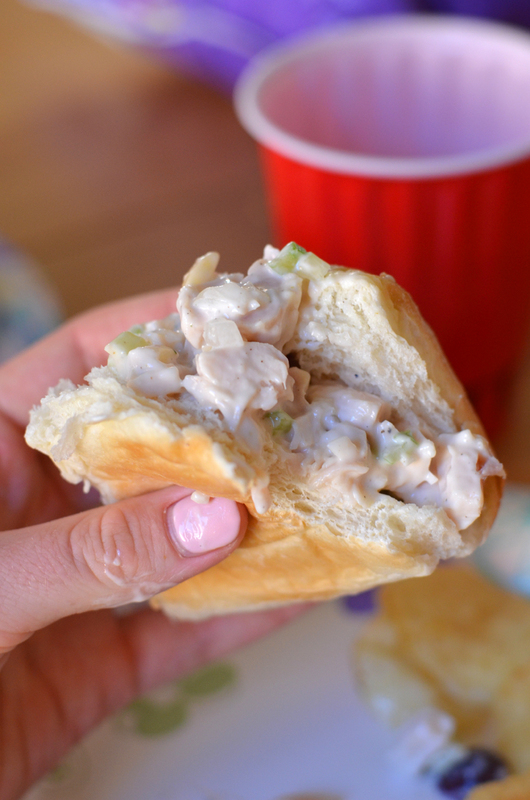 Scoop chicken salad into sliced roll or croissants and serve.